In an exciting development for our Baby Box programme, on Thursday Child.org organised a postnatal training day in collaboration with the Ministry of Health. In Kenya, only 51% of mothers and 36% of newborns receive postnatal care within the first 48 hours of birth. One of the goals of Child.org's baby box programme is “To find out if the baby box is a successful incentive for mothers to access postnatal care services in a health facility with the help of a skilled health professional." 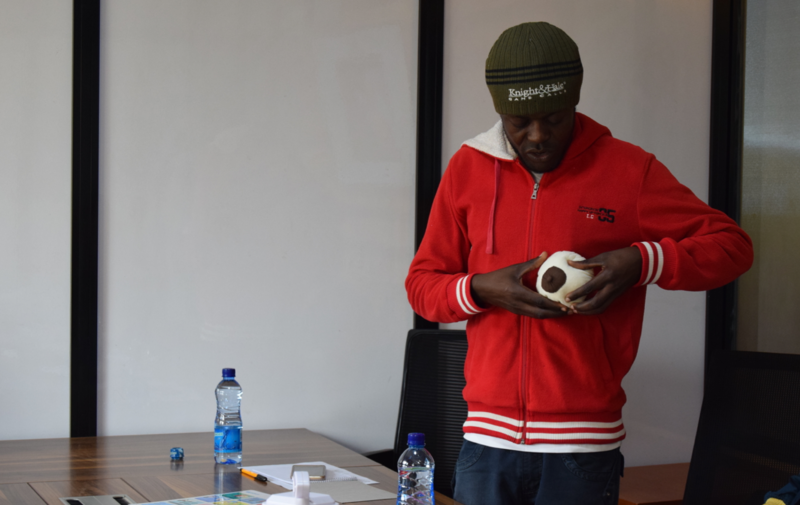 While they've been handing out the boxes and conducting the research, the Child.org Nairobi team have noticed an added difficultly in providing more mums with postnatal care. We realised that when mothers arrive at health clinics for postnatal check-ups and to receive their baby boxes, health professionals are prioritising pregnant women or those in labour instead of mothers with newborns. 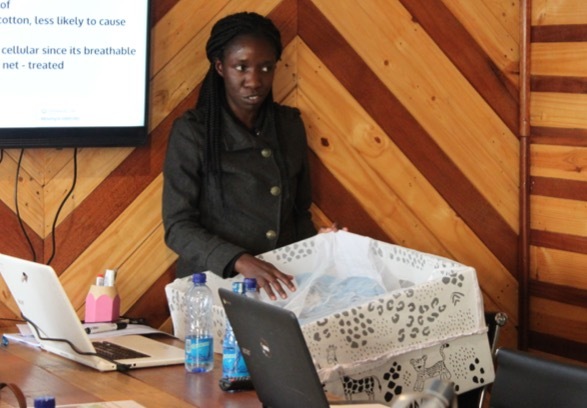 The team realised that in order for the baby box pilot to be effective, we needed to offer some additional training for nurses and Community Health Volunteers (CHVs). The day's session has been designed to improve postnatal care by delivering in depth training on how to help mothers with breastfeeding and how to identify warning signs for mothers and babies, as well as providing more information about the baby box programme. This epitomises Child.org’s motto of We Do What Works. What happened during the day? The programming team were so pleased that Dorcas, Senior Nursing Officer of Nairobi City Council, was able to attend to deliver sessions on general postnatal care for the nurses and community health volunteers (CHVs). Dorcas recently went to a three day national training course on postnatal care, so it was great for her to have the opportunity to cascade her knowledge so soon! Jo Aubrey, a lactation nurse and breastfeeding expert facilitated a breastfeeding session. Eight nurses and seven CHVs were able to attend and they were split up so that content could be tailored to their specific roles. Dorcas’ session with the nurses and CHVs provided information on what to look out for in mothers and babies after delivery. She also tested them on their knowledge, which made the session more interactive. Dorcas’ justified that postnatal care is important because it provides “a continuum of care” from pregnancy through to maternal and neonatal health. Jo’s sessions were designed to train nurses and CHVs in how best to support breastfeeding mothers, through a combination of discussion, videos and role playing to provide information for mothers on topics such as latching and expressing breast milk. The interactive session was clearly very useful, as several participants said the information on effective breastfeeding was one of the most important things they got out of the day. Why was the day a success? John*, one of the nurses said that one of the most important things he learnt was that postnatal care should last for at least six weeks. Previously he thought postnatal care only lasted for two weeks. This was amazing to hear as it is a really important outcome from the training. Extended postnatal care means more women and babies will receive healthcare and potentially life-saving treatment. The training day gave Child.org more insight into the realities of maternal care in the clinics. Nurses and CHVs told us about their real experiences in clinic. During the breastfeeding session, the nurses said that most mums do breastfeed and it is normally a neighbour or a family member rather than a healthcare professional who shows them techniques. Jo’s session was able to provide information to show mothers how to effectively and safely breastfeed. The CHVs agreed that after the training they will be more observant and ask mothers more questions to identify warning signs. 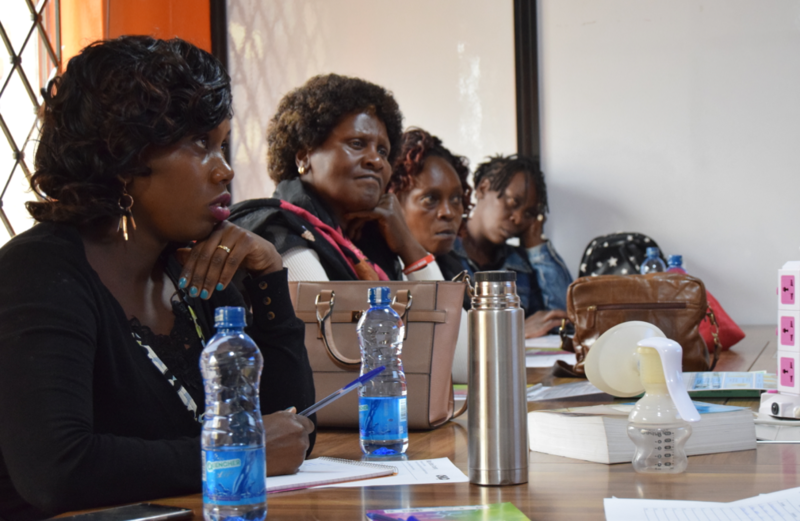 Chris, a CHV at Kangemi Health Centre, said the training was especially worthwhile and useful in providing information on how to check the breathing rate of a baby, and other signs that urgent medical treatment is required. Margaret, a CHV coordinator, was particularly impressed by the information on baby boxes as it will now be easy to explain to mothers about how they might use the box. Phoebe, who is the Ministry of Health appointed coordinator for CHVs in Westlands and Kangemi clinics, had a lot of praise for the training. She highlighted that she would like more Community Health Volunteers to undergo similar training so that, in her words, “more lives can be saved”.